After his defeat, he retreated beneath the earth and lost the memory of the flame that burned within him, marking the end of demonkind. The weapons from his soul are the last flames kindled by the prince. 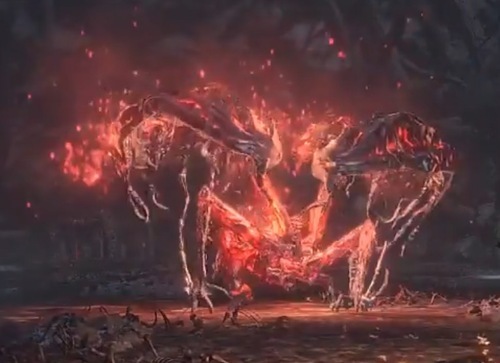 The Demon Prince, after his defeat to Lorian, retreated beneath the earth and lost the memory of the flame that burned within him, marking the end of demonkind. This chaotic thing, the last flame kindled by a demon prince, is shaped like the claw marks of a demon. It is both a fiery bladed weapon, and pyromancy flame.